Authors (and bloggers) are always on the lookout for new tools to help them research their subject more effectively. The Internet represents a potentially massive information resource, but finding, organizing and publishing the information you want in a coherent, systematic way can be a challenge. Simple surfing has proven to be a time consuming and inefficient method for writers to get the informatino they need. 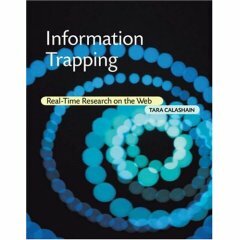 We recently interviewed Tara Calishain, one of the preeminent Internet research experts, about information traps. Information traps are a collection of technologies that helps automate many information gathering tasks. Tara Calishain is the creator of ResearchBuzz, an award winning website covering the world of Internet research. 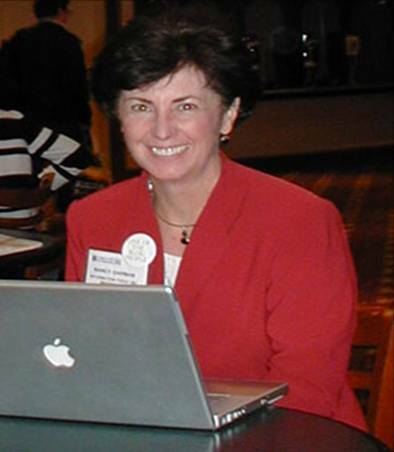 She has written or co-written numerous books on search related topics, including Web Search Garage, the New York Times bestseller Google Hacks, the Official Netscape Guide to Internet Research and most recently, Information Trapping. FPP: How would you define information trapping? Tara: I define information trapping as using alert services, RSS feeds, and similar services to bring updated content to you as it’s generated. Like the “push” technology we were all hearing about ten years ago, except that this time it works! FPP: How did you first become interested in information trapping? Tara: I have been interested in RSS feeds for over seven years, and for site monitoring an equally long time. I became interested in information trapping when I realized how much time it was saving me as I wrote ResearchBuzz. I have hundreds of traps I check daily for information on new search engines, databases, information collections, etc. FPP: What are the primary benefits of information trapping? Tara: It requires some time up front, but once set up information trapping will save you time. The information in which you’re interested will come to you. You will not have to go looking for it on a regular basis. And let’s face it — the Internet is so darn big you can easily get overwhelmed! FPP: What are some of the tools that an individual uses to trap information? Tara: Generally speaking, Web page change monitors and RSS feeds. Specifically speaking, Google News, Yahoo News, Yahoo Alerts, Web Site Watcher, YouTube, and basically any page or resource that either generates an RSS feed or outputs its data on a page that’s easy to monitor. FPP: How do you trap information about podcasts and videos? Tara: Depends on how specific your information needs are. If you’re looking for general information, like trapping for information on the Green Bay Packers, you might be able to find one or two (or several) Packers podcasts out there. If you’re looking for more specific information (for Brett Favre) you might want to use a site that allows you to search podcasts by keyword, e.g. Everyzing. FPP: What hurdles is someone likely to encounter when they initially try to set up information traps? Tara: The first hurdle is probably being TOO general and ending up with a firehose full of information aimed straight at them. It’s not manageable and because of that it’s not useful. Being as specific as possible is the key. (The Green Bay Packers example earlier might be too specific – you would certainly have to be VERY picky about what you monitored.) The second hurdle is not doing research on the kind of keywords you want to use to monitor your topic. When setting information traps, experimenting with keywords is very important. You don’t want to end up with information that’s off-topic – or no information at all! FPP: Can you give an example of how a blogger might use information trapping? Tara: Sure. Say you’re a blogger who’s covering the Presidential elections, but you don’t want to cover the Republicans and Democrats. You want to cover all the “third party” candidates. Mainstream media will not be giving those people nearly as much coverage as the Ds and Rs, so you could set up traps across mainstream media, Web-based media, Washington-bloggers, etc to find news and information on those people. If they have Web sites you could set up page monitors to watch them for news and press releases. FPP: Are there some best practices for storing, organizing and cataloging the information you trap? Tara: Try to have a separate mailbox or folder for your trapped information. Don’t save too much if you can help it. Keep your cataloging process as simple as possible – as simple as a text file if you can manage it. The more complicated your cataloging gets the tougher it’ll be to keep up with. FPP: Can you direct information you trap to mobile devices? Tara: Yes. Some sites offer alerts in the form of text messages for cell phones. And of course if your phone uses e-mail you can get your alerts that way. And if you have a phone that can have applications installed on it, you might want to see if that phone has an RSS feed reader available for it. FPP: How do you see information trapping tools and techniques evolving in the next few years? Tara: I think there’s going to be a lot more done with video and multimedia. We’re only just beginning to get beyond text-based and still image-based information online. This entry was posted in author tools, blogs & writers, Interviews. Bookmark the permalink. Information Trapping « Jess is now a BLOGGER!